I have two excel sheets. In the first one I have a list of countries together with their total population. The second sheet holds a list of countries and capitals. I will like to match the capitals from sheet two with the countries in the first sheet. 2) Accept the Sheet Tableau Suggests and Connect Live. 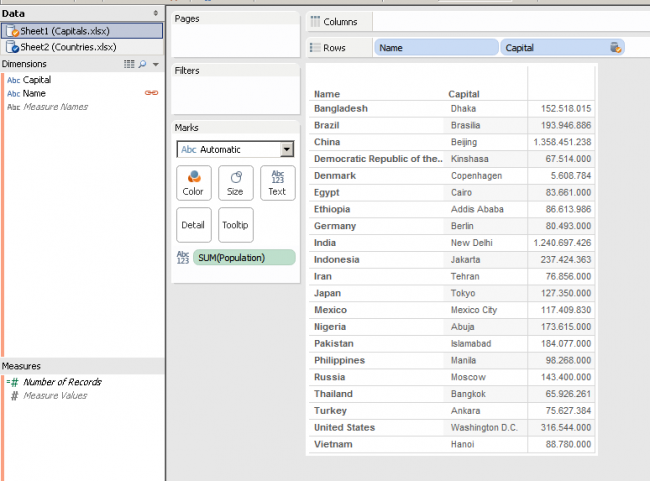 3) Build Your View with the "name" and "population" from the first sheet and "capital" from the second. 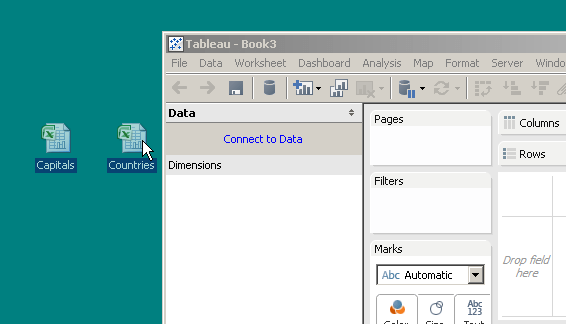 Notice how Tableau figures out to connect the two sheets by the name, because the dimension have the same name in both sheet.